I love a great fitting jumpsuit and this one by Veronica M is one of my favorites. You can read about it here. 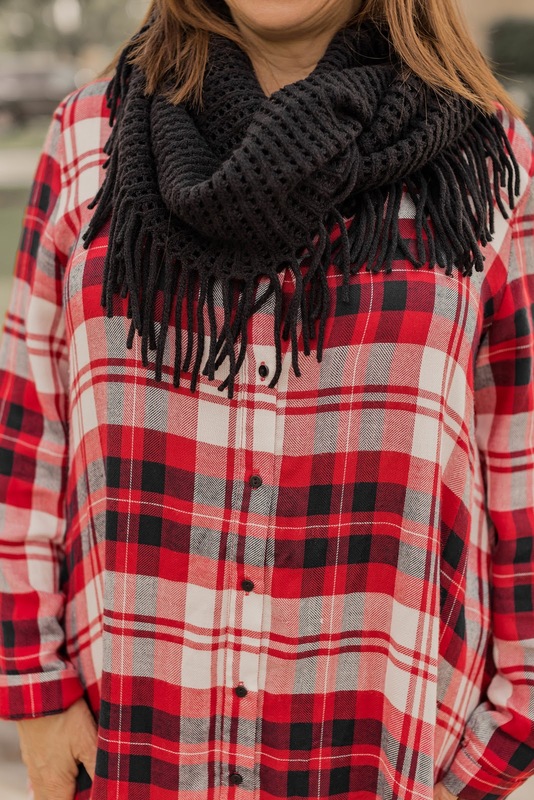 I love everything about plaid. 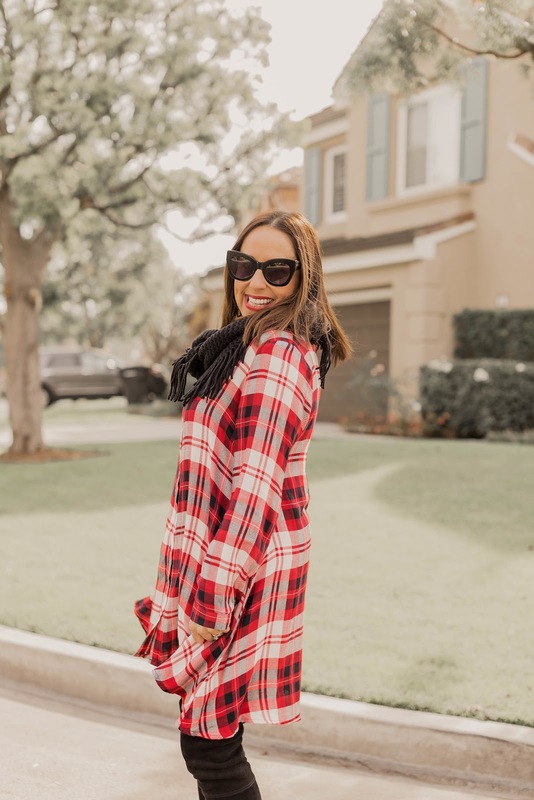 And it has been so cold in the OC this February so a great scarf is a must. Read all about it here. 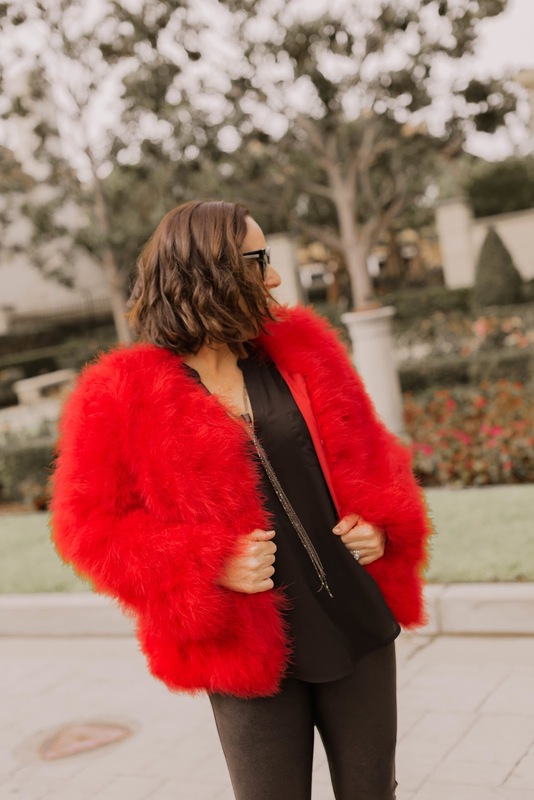 On Valentine's Day we wear red!!! Right?? I'm OBSESSED with this jacket. 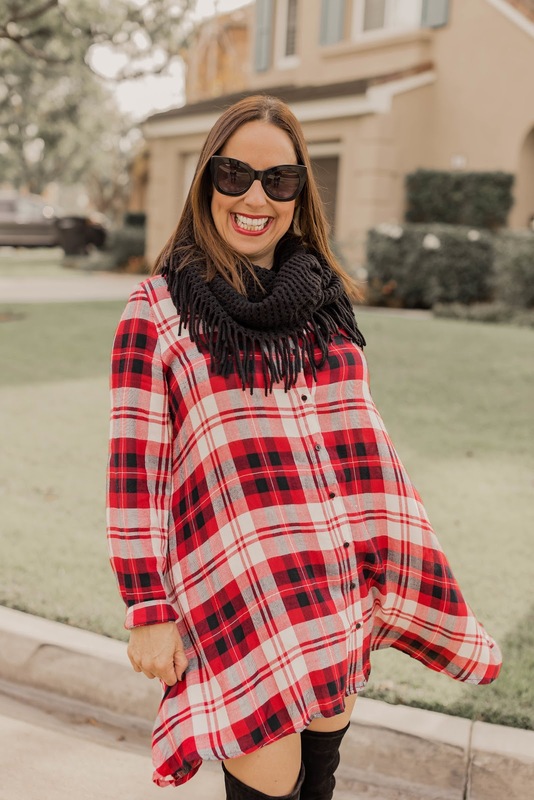 You can shop this look here. 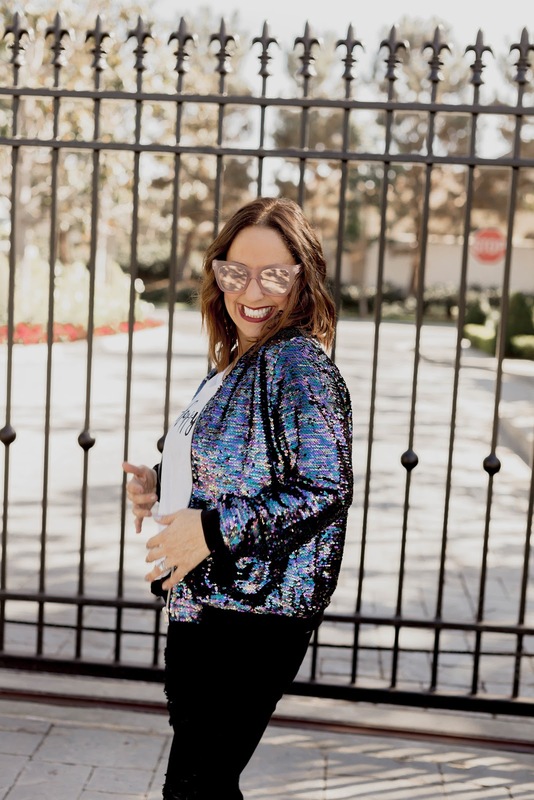 I love everything sequin and this jacket is must have. You can read about it here. You can shop these looks by clicking on the links in the posts. Thanks to Gabi Wells for photos and Happy Reading!!!! I love a good cardigan!! And since we finally started getting winter in February (finally) a good cardigan is the perfect layering piece on a cool day. 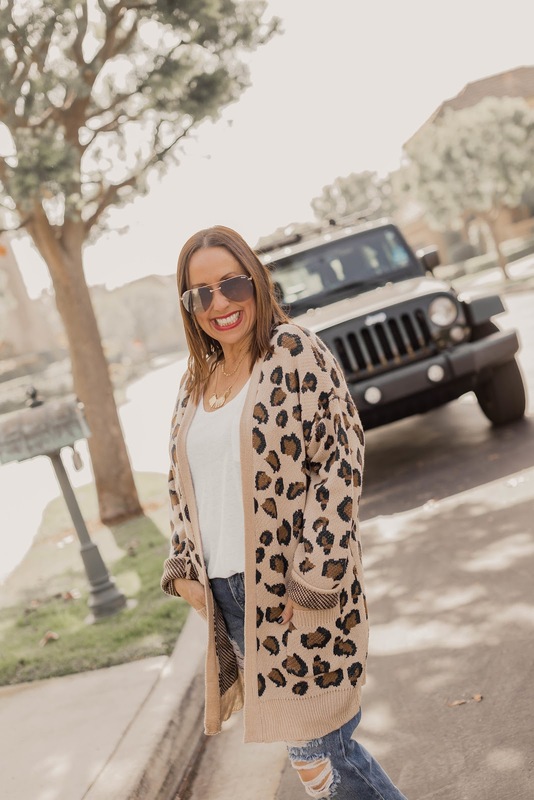 And can we talk about this cute leopard print Vici cardigan? 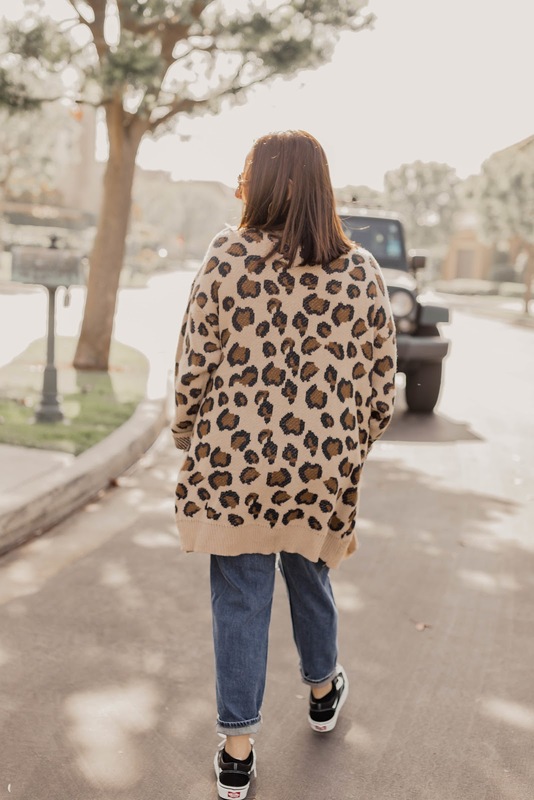 I'm in love with leopard all year long. 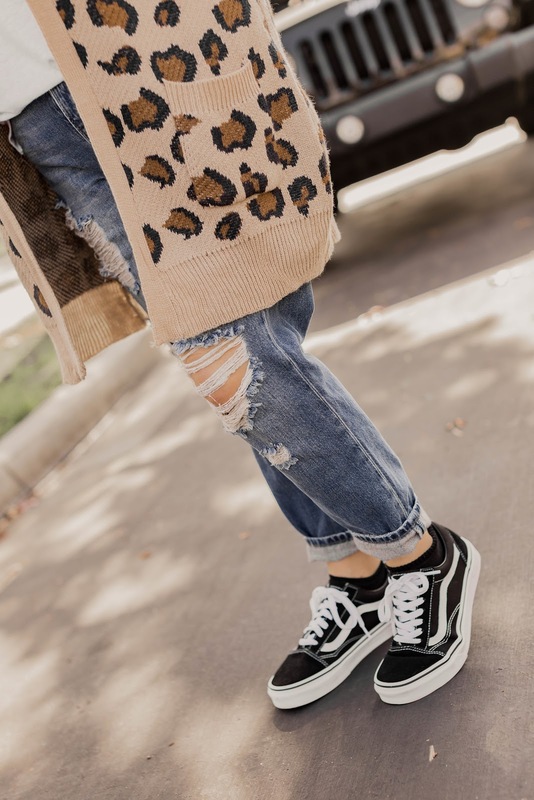 I paired this cardigan with a basic white tee, some perfect boyfriend jeans, and these adorable Vans (that I cannot stop wearing). 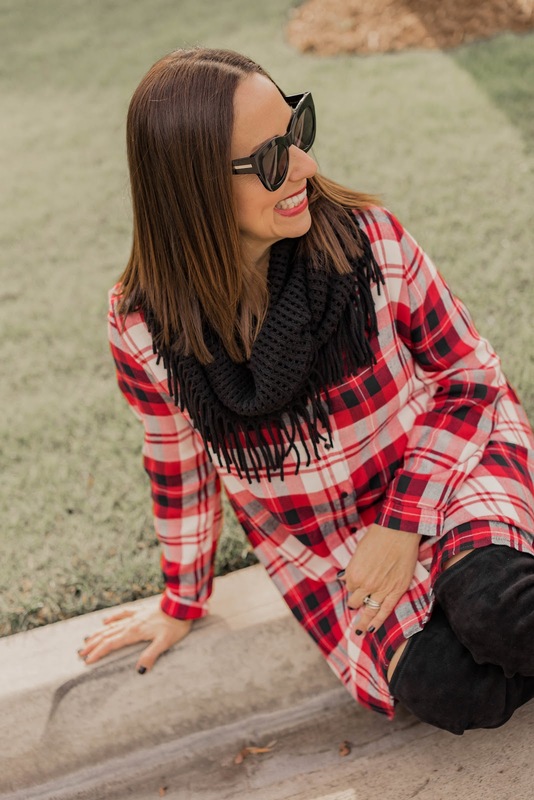 This is the perfect look for a cool, cozy winter in February kind of day. 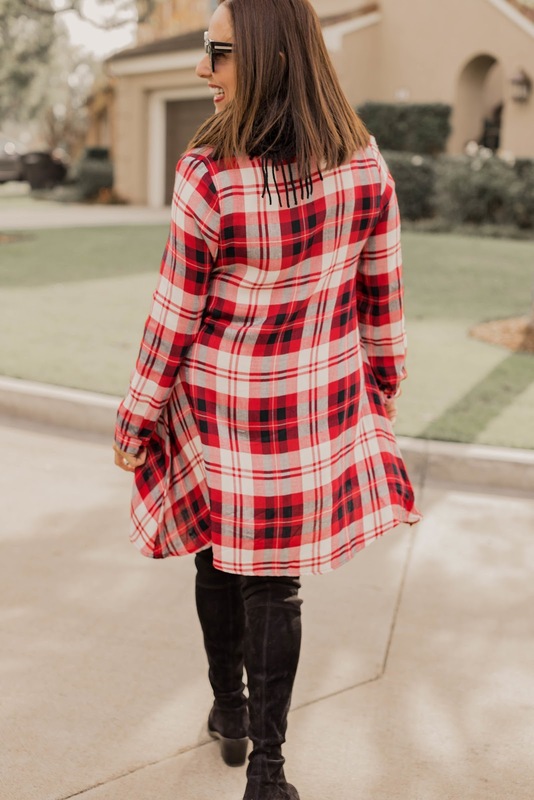 What are your favorite layering pieces? Thanks to Gabi Wells for photos. You can shop this look by clicking on the links above. Happy Reading!!! Who said Disneyland is only for kids? It is also the perfect girls trip destination. Some my favorite girlies and I went to the happiest place on Earth a few weeks ago and had an absolute blast. My friend Shannon is a member of the infamous Club 33, a private restaurant at Disneyland. She arranged the most perfect day and evening. She is the best, and we appreciate her so much. We started the day checking into the beautiful Grand California Hotel. If you haven't stayed there, you must check it out. It has a rustic cabin feel. After our bags were unpacked, we met up with our private VIP tour guide for the day who took us all over both Disneyland and California Adventure. We went on the best rides. I think Guardians of the Galaxy is my new favorite. After our day running around the parks, it was time to get ready for our evening. We got all dressed up and headed over to Club 33. We were not allowed to take pictures or video inside, only in the courtyard area, but I can tell you that it is absolutely stunning. We had the most delicious four course dinner and literally closed down the place. And what fun to just walk over to the Grand California Hotel and finish our night giggling and having girl talk. I highly recommend a girls trip to Disneyland. It allowed all of us a chance to live out our inner child. We had the best time and can't wait to do it all over again!!!!! Happy Reading!!!! I am going to start this blog post with one word-- YES. 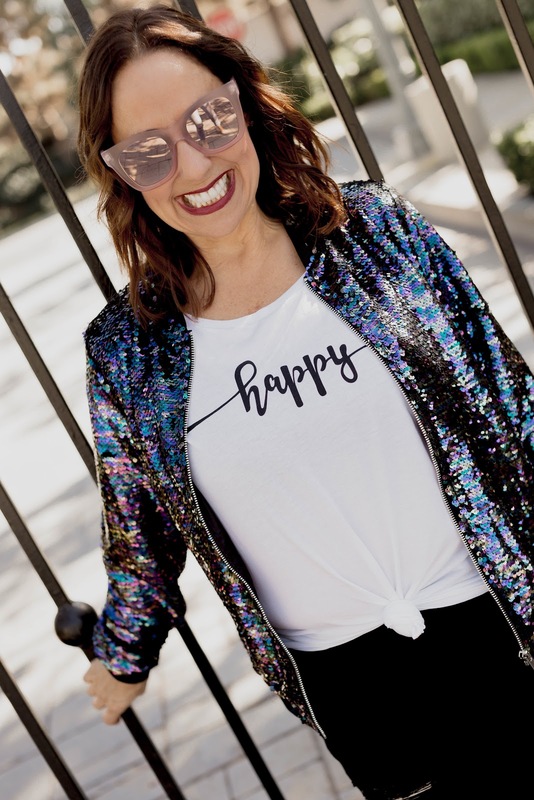 Yes you can wear sequin all year long. 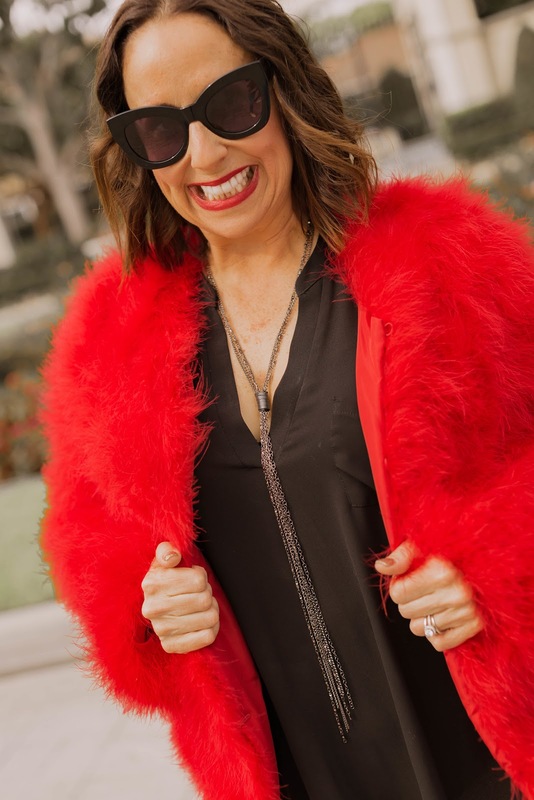 I think old standard fashion rules are a thing of the past, and just as you can wear white after Labor Day, you can wear sequin after the holidays and into spring. 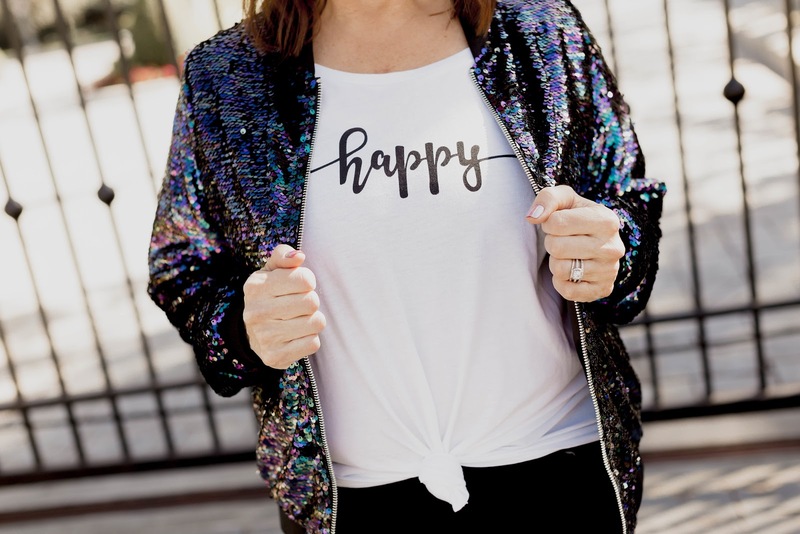 I love this adorable sequin jacket. I decided to pair it with my favorite distressed skinnies, and this cute graphic tee. I love love this tee and it makes me so Happy. I finished the look with my Converse tennies and these cute sunnies. 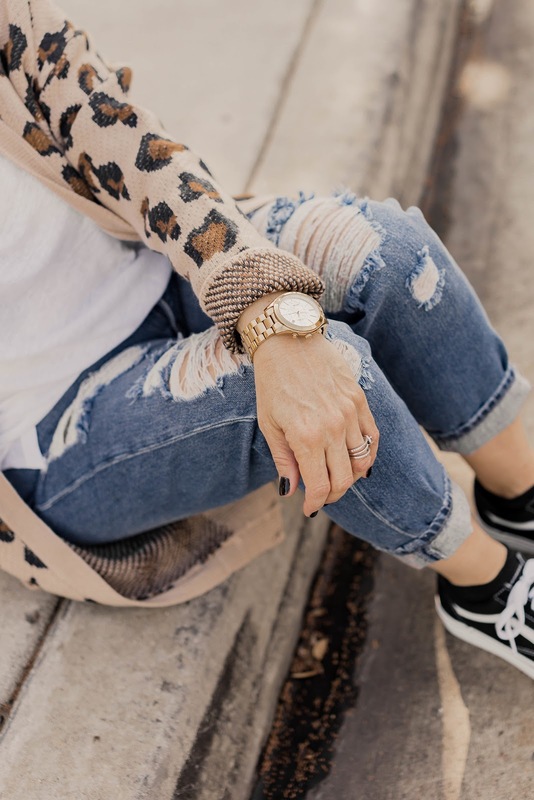 This is such a great look to help transition from winter into spring. So I hope you go to your closet and pull out all your sequin favorites and wear them all year long. Thanks to Gabi Wells for photos. You can shop this look by clicking on the links above. Happy Reading!! !